Gulab Jamun is an Indian dessert with spongy milk balls in sweet syrup. This is one of my favorite desserts. Traditionally it is made with cottage cheese. 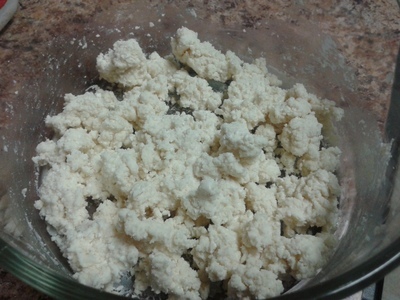 Here I am using milk powder instead of cottage cheese. For preparing rose syrup - In a bowl, mix sugar, water and lime juice (to prevent crystallization). Boil the syrup and switch off the flame. Add rose water, mix well and set aside. For milk balls - In a bowl, take milk powder, butter and ghee. 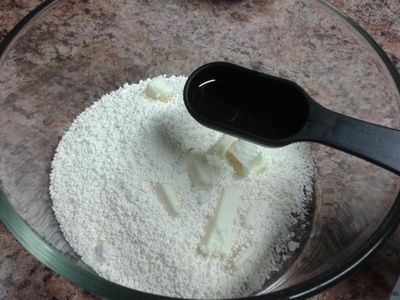 Without applying much pressure, gently mix the ingredients to distribute the butter. Now add all purpose flour, baking powder and milk into this and again rub gently to form a dough. Then cover and let it rest for 10 minutes. Then make small balls from the dough. The balls should be smooth without any cracks. Heat oil in a heavy bottom pan. Deep fry the milk balls until golden brown on low flame. Remove from oil to a plate. Repeat with the remaining balls. Soak the fried milk balls in syrup for 30- 35 minutes. Garnish with chopped pistachio. The Gulab Jamun is ready. The milk balls will absorb the syrup and become moist and spongy. Enjoy.